Step aside ladies, there's a new way of applying makeup - Have your best friend apply it blindfolded. Yes, you'll looking stunning, people will stop in their paths just to admire the beautiful selection of war paint that you're best friend has decided to apply for you! 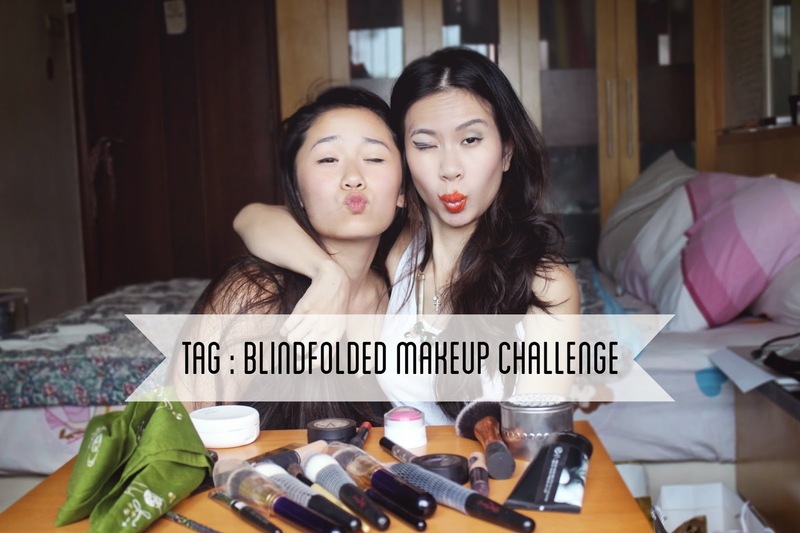 Since we had a great response from our Not my arms makeup and the boyfriend does my makeup challenge, we thought... what better challenge to do next that the blindfolded makeup challenge! I'm sure you can all tell how beautiful sam looks in the header photograph sooo without rambling on any further, here is my take on how to get an elegant yet girly look, without having to open your eyes at all! We hope you guys liked it and do leave other video suggestions in the comments section! Have a lovely week ahead babes!